Additional mounting flexibility for this remote controlled garage door opener can be achieved by purchasing the 3950MB mounting bracket, available from North Shore Commercial Door. Optional accessories include a keychain, 1-4 button remote, wireless and fingerprint keypad. The door can be opened manually if necessary. At North Shore Commercial Door, our friendly and courteous staff is here to help you with your questions over the phone or online. Online is best because you can check the Q&A section and see responses from customers and staff members. 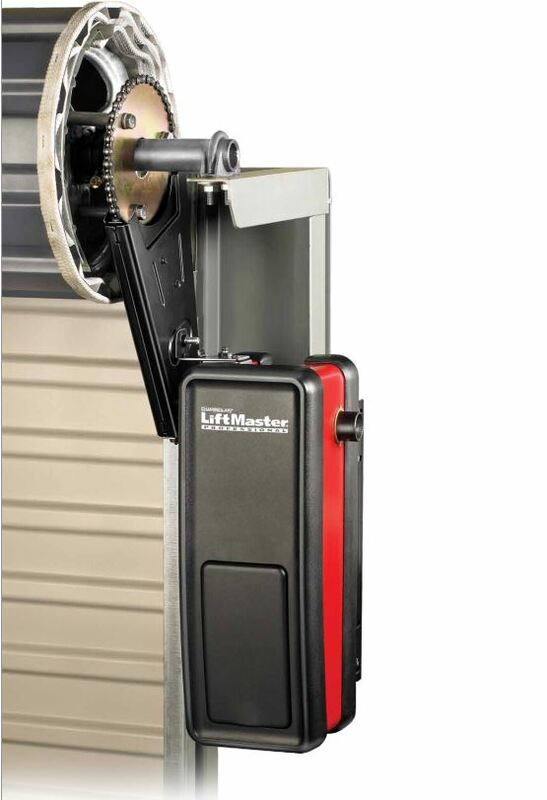 When in need of a remote controlled commercial garage door, the LiftMaster 3950 is a great choice. A six foot power cord. Wall mounting on the left or right side of the door with brackets for mounting. Compact and ideal to use in locations where you might store a boat or RV. A smooth starting and stopping motor.